For the first time, PÉCHÉ MIGNON will be exhibiting at the EAT!Vancouver Food and Cooking Festival. New for this year, Edible Canada is sponsoring the Canadian Food Artisan Pavillion, which will showcase a wide range of artisanal food products from all over Canada. PÉCHÉ MIGNON will be one of a dozen artisanal food producers sampling and selling in the pavilion. 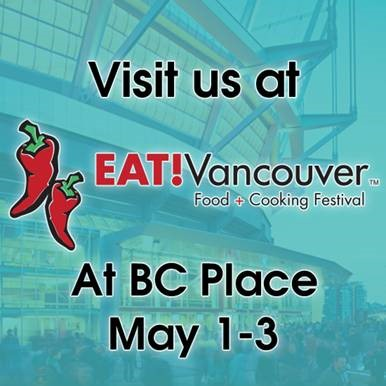 We look forward to seeing you there May 1st to 3rd at BC Place, Vancouver.